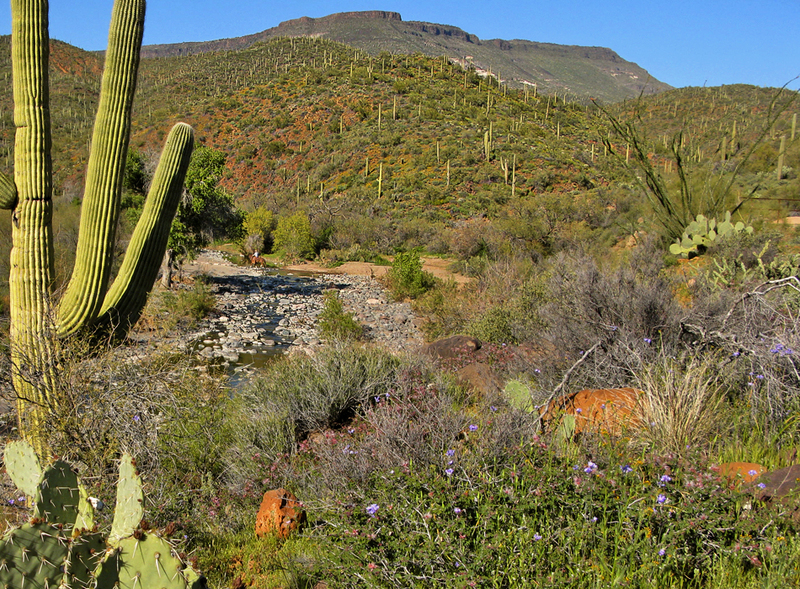 Overview: Single track short cut (of Spur Cross Trail) that mingles with Cave Creek. Hike: From the northeast junction with Spur Cross Trail you head southwest. The overhead views of Cave Creek are immediately pleasing. What makes this particular stretch oh-so-special is the mix of saguaros, mountain views and a running creek(in season). This vision may float in the minds of tourist. In reality the experience is rare in the sonoran desert. The occurrence here being the fringe where it meets the chaparral covered mountains. Not wanting to but continuing on the flora is rich. Without the trail you'd be deep in a nasty bushwhack. 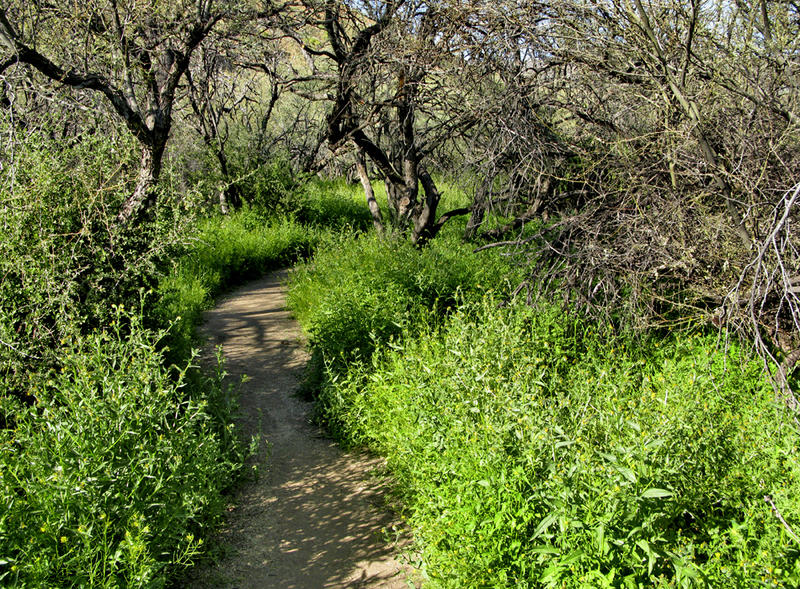 The trail meanders about to the mesquite kingdom. In season this is an incredible experience. Mesquite trees canopy the trail. 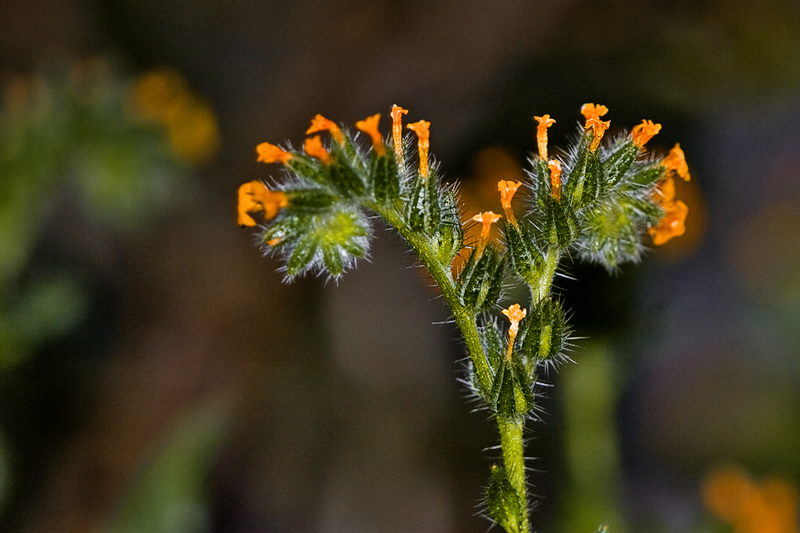 On my visit (peak season) fiddleneck wildflowers covered the ground in a two foot blanket. The idyllic setting is amazing in itself. What's more amazing is the history of this trail. I don't know the history but the facts are busting at the seams. Other trails in the conservation area are made up of old jeep roads or modern cut trails. 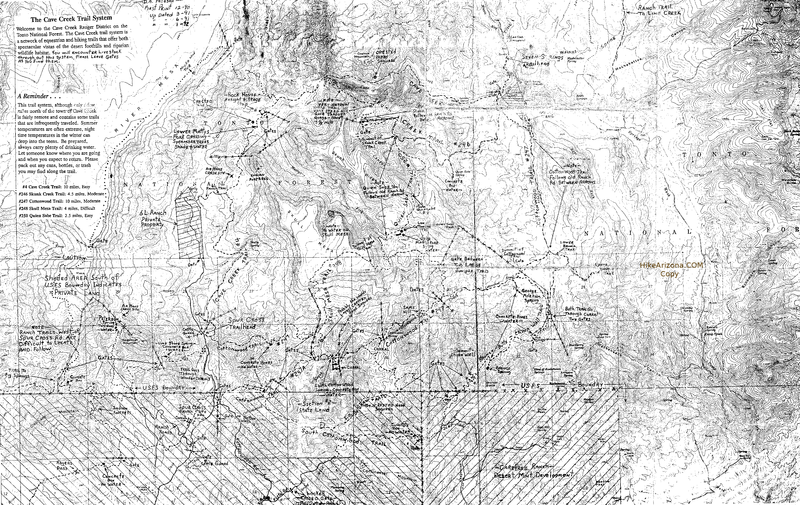 This single-track trail is listed on the 1978 New River Mesa topographical map and likely older versions too. Old cement foundations line the trail in places (further down). Tag in the proximity of the creek and the name of the trail. A metate is a ground stone tool used for processing grain and seeds by Native Americans. The stone is rubbed back and forth over a mano. It'd be one thing to come in here with a chainsaw and cut a quick path. This place definitely goes back in time. The exquisite mesquite kingdom is short lived. Soon you cross Cave Creek. On the flip side the flora surrounding closes inward and up. 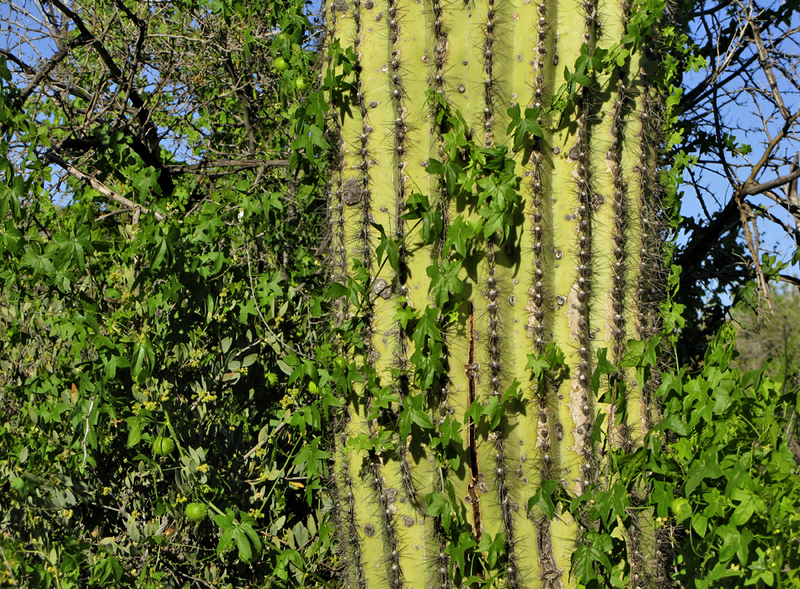 Wild cucumber thrives through the bushes, trees and cacti in early spring. 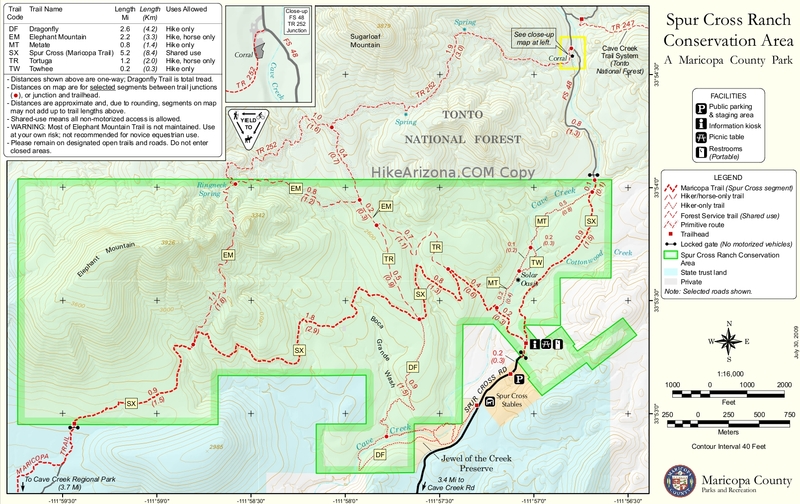 You pass the Towhee Trail junctions twice as it a short spur trail that hugs Cave Creek. Soon after the second Towhee Trail junction the intense trail lined flora gives to wider views. Here you pass several old cement foundations of yesteryear. In the spring owl clover blankets the meadows with backdrops of saguaros against Sugarloaf Mountain. It should be noted that the entire area flaunts "Do Not Enter" signs often. You're pretty much confined to the trail. 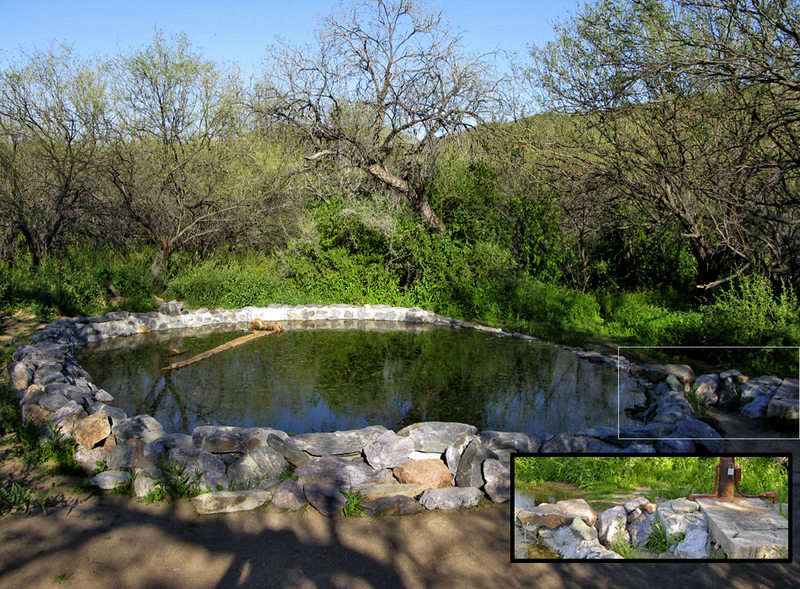 There is one section lacking the signage that leads to a man made pond. It's almost heartbreaking to see the electric conduit feeding the electric pump. Nevertheless I'm sure it's appreciated by local fauna. The trail ends soon at the southwest junction with Spur Cross Trail. I-17 North & Exit 233, which is SR-74 the Carefree Highway. Head east on Carefree Highway 9.9 miles to Cave Creek Road. Head North on Cave Creek Road 2.6 miles to Spur Cross Ranch Road. The road jogs a bit here but you go 4.0 miles to the parking lot. It is a well-graded dirt road. As it nears the parking area, the road leads past a large green house, through a tall gatepost and past a corral. There is a large signed parking area. Along the road about 75 yards northeast of the parking area, there is a self-pay station and a small informational kiosk with rudimentary maps. Pay the fee and carry the stub with you.